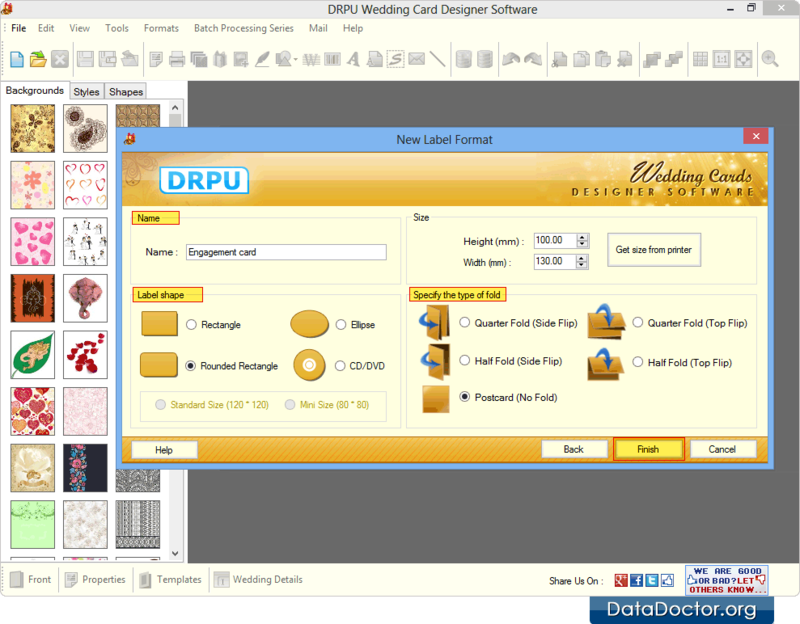 Wedding Cards Maker Software creates multiple wedding invitation cards simultaneously using batch processing series option. 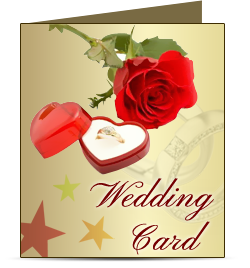 Wedding card making program allows you to add background, style, shapes, images and other objects on card. You can send designed invitation cards to the user specified email address by using inbuilt email settings. 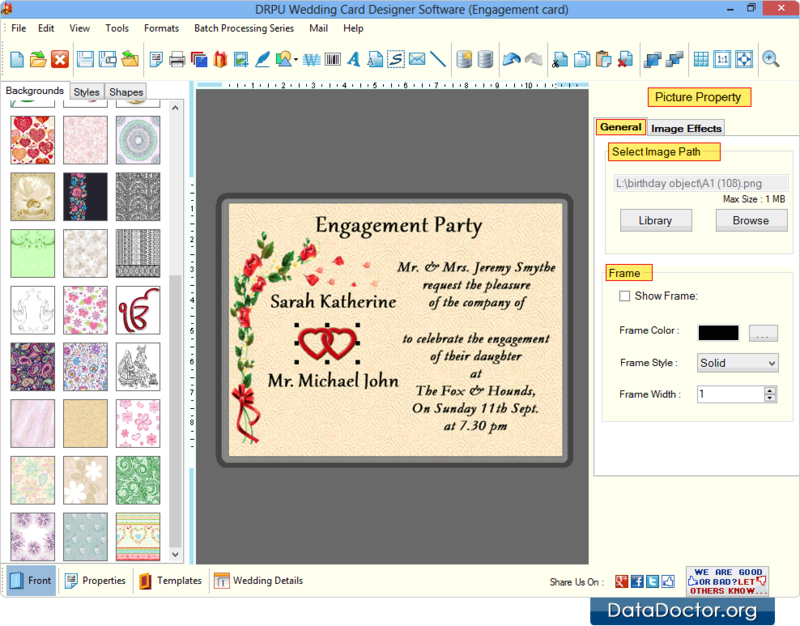 Wedding Card Creator Software allows you to insert images on wedding invitation card from image library. You can start your designing wedding card using Templates, Wizard or using blank Format. Enter card Name, Size and choose Label shape. Click 'Finish' button to continue..
Add text on card using Text Properties. You can change font style of the text. In Font Settings tab, select font family, font style, font size and attribute of text. You can add picture on card by browsing image and adjust various picture properties. 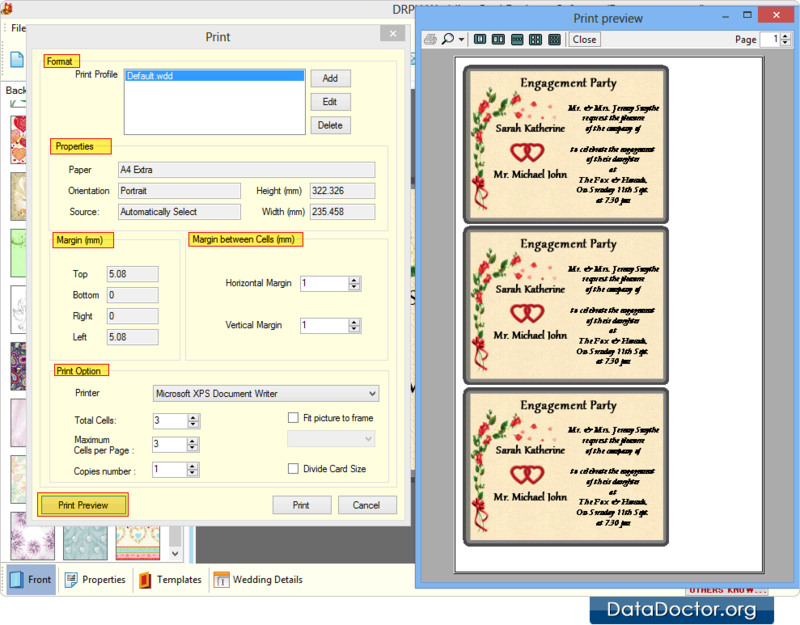 To print designed wedding card, adjust print properties and click on Print button to print designed cards. 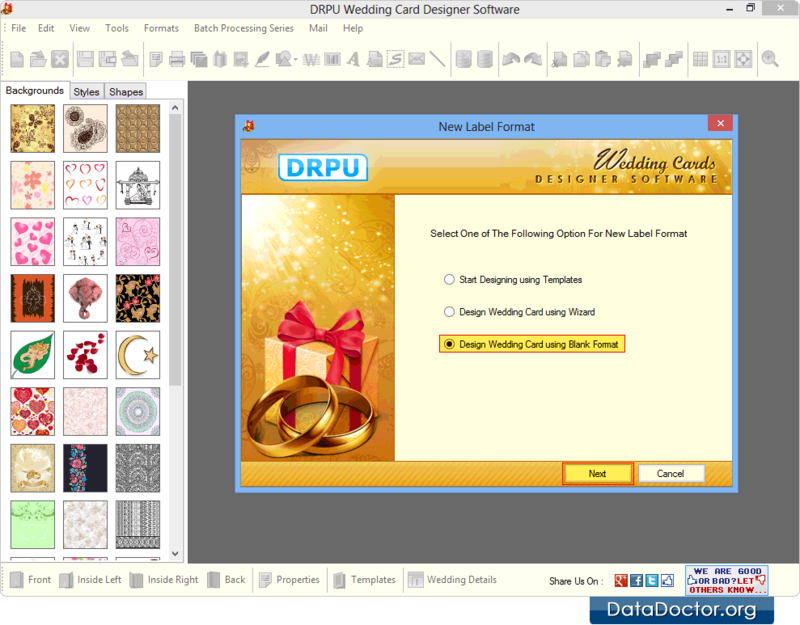 Wedding card making program provides advanced designing tools including Rectangle, Ellipse, Line, ClipArts, Watermark, WordArt and other objects to create attractive wedding cards. 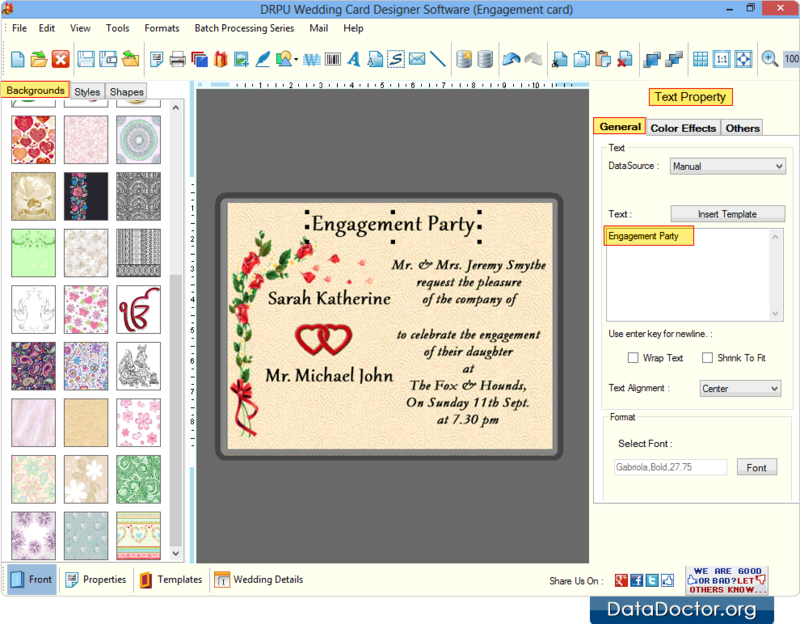 Software easily creates wedding cards using Text, Image, Clip arts, Signature, WordArt and other designing objects. Design wedding cards in different shapes such as ellipse, rectangle, rounded rectangle, and CD/DVD shape. 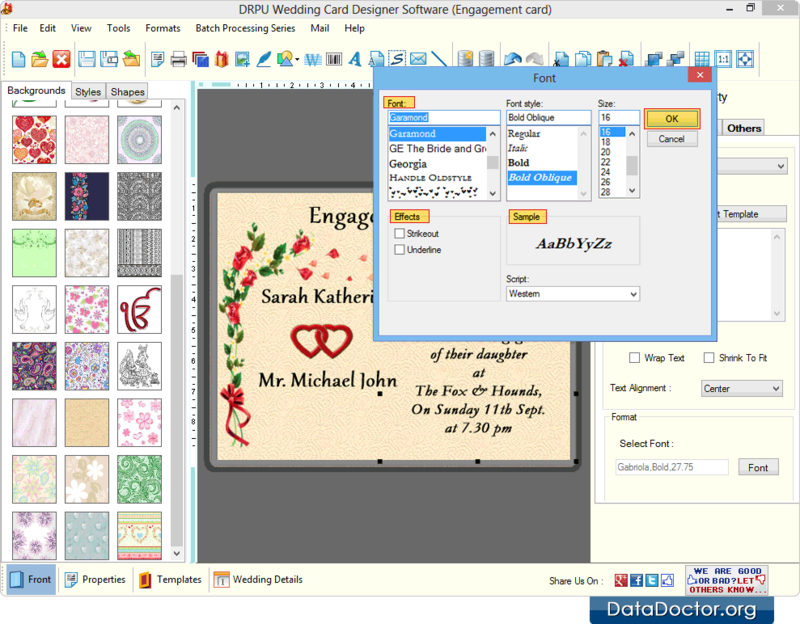 You can save designed wedding card log (in .idd file format). Export or save designed wedding cards in different file formats such as JPEG, PNG, GIF, PDF, BMP, TIFF etc.